Our manager, Art Stenstrom, was very good about getting our publicity out to people interested in our band. This publication was one of the ways. 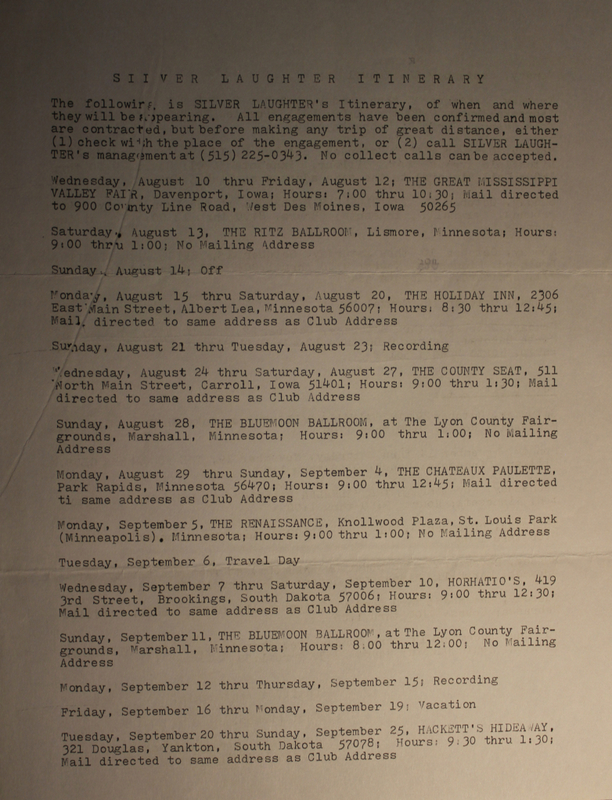 The third page in our August fan newsletter has our booking schedule for upcoming jobs. As you can see there were a lot of dates in between club appearances that were set aside for recording our second album, “Sailing On Fantasies”.